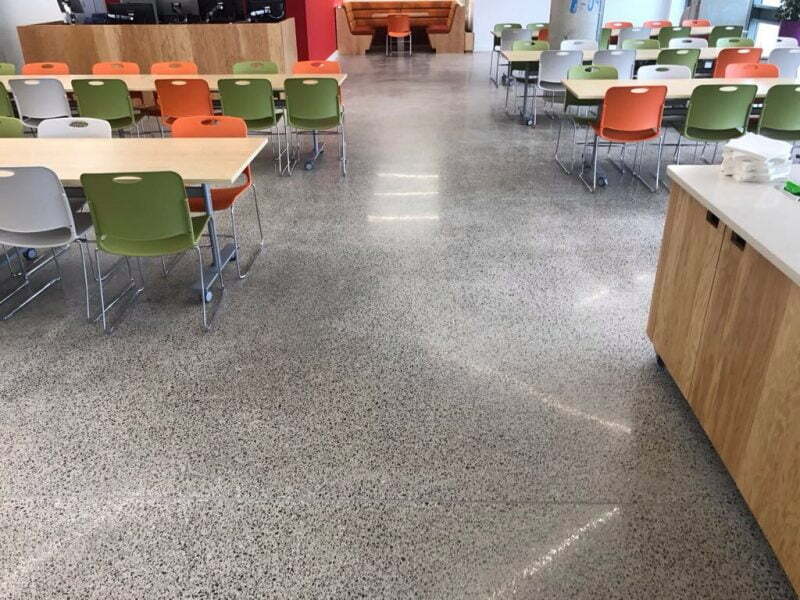 Marble restoration, or the restoration of natural stone floors such as travertine, crema marfil, limestone, granite, terrazzo, etc., is the art of restoring worn, dull and scratched tiles to their original condition. 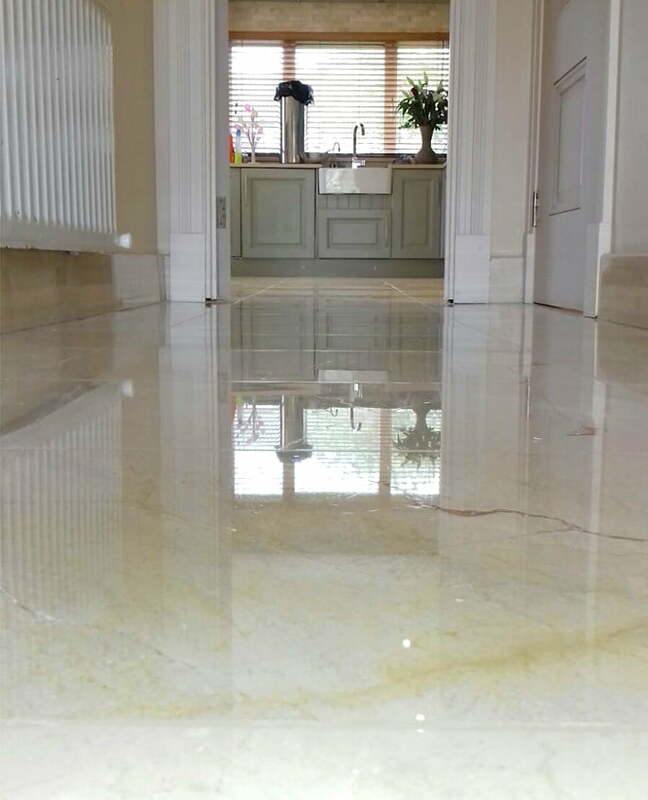 Marble and natural stone floors are an expensive and luxurious item and you should only entrust their restoration to an experienced and knowledgeable professional. You can, in some cases, alter the finish of your marble floors to a more desired effect. Marble can be restored to blend in with other floor surfaces. 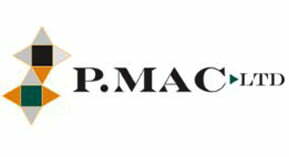 A professional marble and stone restoration company, such as P Mac, can transform a highly polished finish to a honed finish, or vice versa. 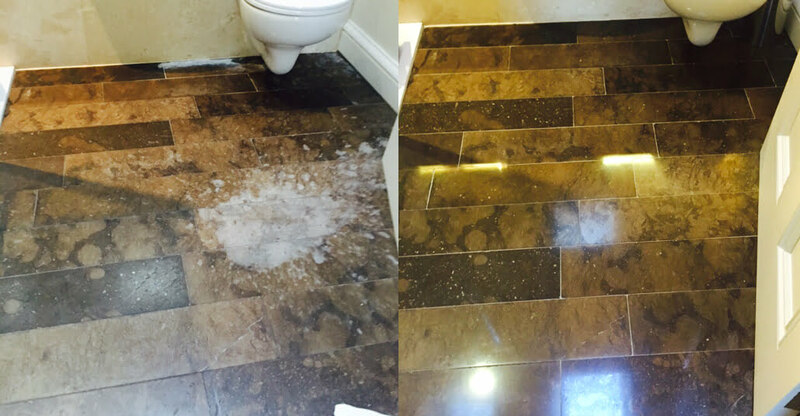 Repairs of cracks, chips, unevenness, holes in travertine or marble/stone tile replacement are all part of P Mac’s floor restoration service. Cracks in stone floors appear because of movement beneath the stone – in the sub-floor. We can repair cracks, but if there is still movement in the sub-floor they will reappear. Cracks are repaired using machine stone dust. Cracks can also be repaired with an epoxy resin which we colour and polish to match the stone. Travertine is formed by geysers – the extreme hot underground water dissolves the underlying limestone and carries it upwards with the geyser. Gas bubbles give travertine its characteristic porous appearance. General wear and tear cause these holes and pops to increase and get bigger over time, and these holes are a magnet for dirt. During the cleaning process, our machines can remove the dirt from these holes. Once cleaned, we fill the holes with dust from the grinding process and epoxy resin. Your travertine floor is then re-honed to smooth off the repairs and sealed with a suitable seal. 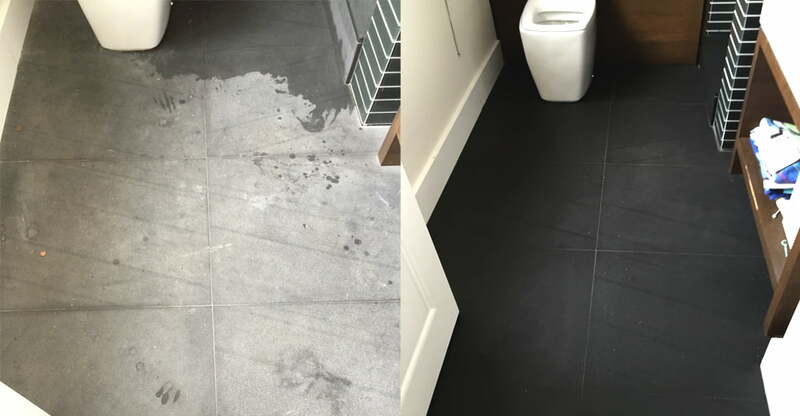 We source, fix and replace stone to match existing floors. Loose stones should always be re-laid, as they will eventually crack and may cause damage to the surrounding floor. New stone can then be colour-enhanced to blend in with the existing floor. Grinding is a process whereby the surface is aggressively sanded to remove large stocks of stone. This process is usually recommended when stone tiles are uneven. Honing is the process of smoothing the stone with the use of abrasives, usually diamond. Although not as aggressive as grinding, it does require the use of water, and can be quite messy. Honing is performed to remove scratches but will not remove lippage (uneven tiles). It can, however, round the edge of the stone, giving a smoother finish. Honing can leave a stone floor with very little shine, although, at high hones, some stones may acquire a satin like lustre. Lippage is the term given to uneven tiles that are set higher than one another. Grinding is recommended when lippage exceeds 1/8th of an inch or if a completely flat floor is needed. The method of removal is to grind the floor completely flat, re-hone, and then polish. Etches are caused by the acid content in spillage reacting with the calcium in stone. Acidic substances include wine, fruit juice, vinegar or harsh cleaning chemicals not intended for cleaning natural stone. This can show as roughness and remove the shine. Etches can only be removed by honing and polishing. The floor should then be sealed with an impregnator. A marble or limestone floor will etch if juice is spilled and not removed immediately. Modern seals can be applied to enhance the colour of the stone. The stone must be completely clean and dry before these seals are applied. It is important to remember that these seals will also enhance stains or blemishes in the stone.